Rebound, from The Human League's 1990 album Romantic, is one of my favourite Human League songs and I've always thought it could easily be recast as a Dare era track. So this is my take on it, as it may have sounded were it recorded and produced in 1982 instead of 1990. It's not representative of my other production work with Tycho Brahe, but is intended as an homage to the Dare album sound and the extraordinary producer behind it, Martin Rushent. If someone wanted to they could now do a "Razormaid" style cut and splice of the two mixes here to create their own edit, much as I used to do over 25 years ago with the Dare album, it's remix companion Love and Dancing and two cassette players! For the technically minded, the following gear was used for these remixes...drums are from a library of Linn LM-1 samples, and I've worked meticulously to try and emulate the tunings, pans and processing for the LM-1 sounds, using various Dare era tracks as guides. To me, the LM-1 and how it was used is one of the most important defining aspects of Dare. Bass is courtesy of my trusty Roland Juno-106 synth. The new lead line is from my Roland SH09 synth, MIDI sequenced via a Frostwave MIDI to CV/Gate converter. Other various sounds are again courtesy of the Juno-106, plus my Minimoog. MIDI sequencing and final mixdown was done in ProTools, external effects processing was used where possible, no softsynths were used. I hope you enjoy listening to these mixes as much as I enjoyed creating them. Close your eyes, imagine it's summer 1982, and play them loud! 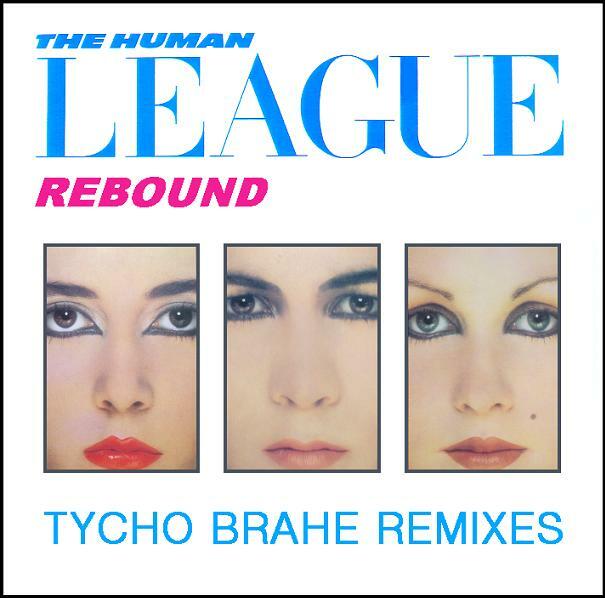 The original version of Rebound can be found on The Human League's 1990 album Romantic?. Written by Philip Oakey & Neil Sutton, the copyright of this track belongs to Virgin Records Ltd. This mix is for your own personal use and it should not be exchanged for cash or uploaded to online peer to peer services. Please support The Human League and buy official products. Tycho have also remixed Sky, for details see tycho retro remixes the human league.